If you’re standing for a long time, muscles around the spine constantly perform small corrective movements for stabilisation. The more the body's center of gravity is in the center, the less power is required. So, a perfectly balanced posture is very important when in a standing position. Also called a ‘neutral spine’. ‘Slouching’ (improper posture) can lead to stiffness in certain parts of the body. When you take a look at you spine from the side you see a double S-form. From your neck to the sacrum it begins hollow, then sphere on the upper back, hollow again on the lower back and a small holling at the sacrum. So, a ‘straight back’ actually isn’t correct. It’s important that the curves provide a compromise between stabilisation, resilience and motility. Standing places significant pressure on the joint of the hips, knees, ankles and feet but without any significant movement of it. This reduces the normal lubrication and cushioning of synovial joints, causing them to tear. The combined effect of pressure and tearing can cause extensive amounts of pain and make it difficult to move or walk. Make sure you take enough rest when you’re standing for a prolonged period. When you sit on a chair for a prolonged period, make sure you move frequently. These are veins that have become enlarged and twisted, especially within the legs, ankles and feet of an affected individual. Muscles kept in a constant stress position quickly become exhausted and can result in pain and swelling in the lower back, legs, ankles and feet. The Occupational Safety and Health Administration (OSHA) has stated that muscle fatigue and musculoskeletal disorders account for 33% of all worker injury and illness. 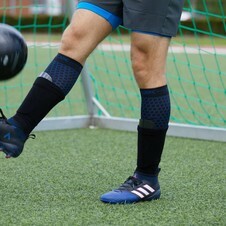 Considerable research has been conducted as to the extent of muscle injuries and all have concluded that these are expected but can be reduced with breaks and the availability of chairs. So, standing for a prolonged period is not good for your health. That’s very clear. When you’re pregnant it’s very important you take breaks on a frequent base. There’s a link with pre-term births as well as high blood pressure. For all you pregnant ladies out there: the advice is to stand for a maximum of 2 hours during a working day from the 20st week of the pregnancy. There’s a maximum of 1 hour from week 30. Well, you could have guessed this one. It’s a logical cause of above complaints. When you’re standing the whole day, eventually certain parts of the body will suffer from it. The focus will move to those parts causing productivity to decrease. Of course it bothers to read why standing for prolonged periods has so many negative side effects, but these complaints sound probably very familiar to most of the people who read these. So it’s important to know how you can prevent them. 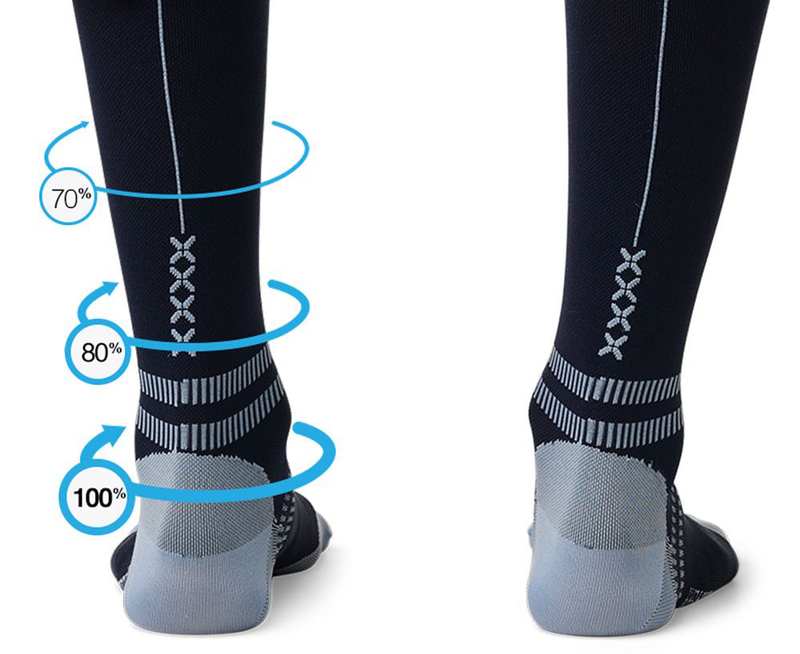 To prevent these complications you can wear STOX Work Socks. The energizing flow improves drainage of blood and fluid, which prevents varicose veins. 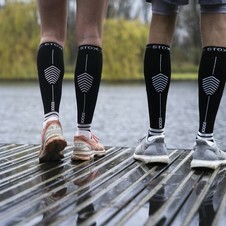 STOX optimize the blood flows in your legs and deliver maximum oxygen-capacity to the muscles, which provides your legs with energy boosts, all day long. The important ingredients of Milk Fiber are milk casein proteins, which are PH-neutral and can therefore nourish and lubricate the skin. Because of gravity, blood and fluid flow to the feet, the body needs all the help it can get to let it flow upwards again. 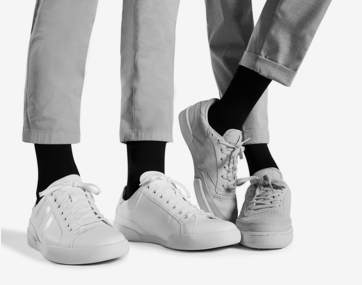 When you wear STOX, the highest pressure is at the ankle and gradually decreases until it finally performs the least pressure just under the knee, causing blood to be ‘pushed’ back up. In this way, an optimal blood circulation is achieved which prevents leg fatigue and muscle pain.